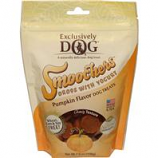 Exclusively Pet, Inc. is the leading manufacturer of dog cookie treats. Consumers from all around love Exclusively Dog products because of the uniqueness, quality, and resemblance to popular human cookies. • Wheat, Corn and Soy Free! • Chock-full of peanut butter. • Made with human-grade and kosher ingredients. 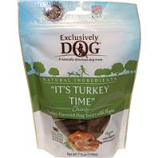 • Free of animal proteins, parts, by-products and fillers. • Wheat, Corn, Gluten, Soy and Grain Free! •Wheat Corn and Soy Free!. • Miniature Bone Shapes With The Great Taste Of Peanut Butter. • Miniature Bone Shape With The Great Taste Of Chicken. • Miniature Bone-Shape With The Great Taste Of Cheese. • Free Of Animal Parts, By-Products and Fillers. • Vanilla Cookies With Crème Filling. • Made With Natural, Human-Grade and Kosher Ingredients. 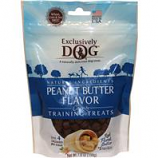 • Free Of Animal Proteins, Parts By-Products and Fillers. • Peanut Butter Cookies With Crème Filling. • Made With Natural Human-Grade and Kosher Ingredients. • Crunchy Round Bits With The Taste of Real Cheese. • Chock-Full Of Peanut Butter Flavor. • Vanilla and Carob Cookies With Crème Filling. • Crunch Round Bits With Great Taste Of Chicken. • Miniature Bone Shapes With The Great Tastes Of Beef and Liver. • Combination Of Graham, Carob, and Marshmallow Flavors Straight From The Campfire. • Made With Natural, Kosher Ingredients. • Wheat, Corn and Soy Free. • Crunchy Round Bits With The Great Combine Taste Of Beef and Liver.